Info: Created on 2nd July 2014 . Last edited on 7th August 2014. How to improve something that was already good! Wow, thanks p2pnut. I'm flattered. I think about my unwise fonts in a similar way than you are speaking: "There's always room for improvement". This is a great point of view, 10 2U dear compañero! I love this! Pointers: the ogonek is missing on your Uppercase I. Love you ij and tildes. The cedilla characters, btw (G, K, L, N, R, [S and T—in Latin extended B]), are actually commas—they're named wrong in Unicode. Thanks everybody. Will fix all mistakes soon. Thanks for the hint! I'm not an expert on ogoneks, but I'm pretty sure it't not simply a reversed cedilla. Any polish speakers who can confirm this? I know some Polish, and Cmunk is correct. I was also going to mention that. Ogoneks are generally the same length as the descenders, and roughly resemble the bowl of the a, albeit, squished. 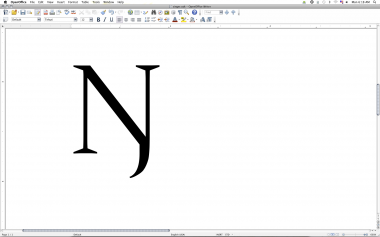 :) Also, though this might not be typical, I would simply join the tail of the J to the bottom of Eng; i.e. make the majuscule resemble the miniscule. 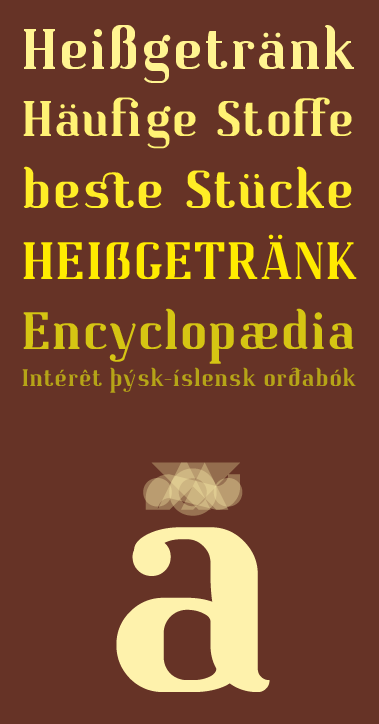 @TCW: The capital eng in this font is very nice, and preferred in the Sami languages that use it. Though African languages prefer the enlarged minuscule. This is a dilemma that I have often pondered, as you can't satisfy everyone without opentype features for alternate glyphs. Thank you for all your positiv and constructive comments. I've dealt with the ogoneks and here's what I came up with. I know it's not perfect but I hope it's better than before. I can't speak to the technical correctness...but I really like the way they look! Do you want an uncommon form for eng? Congratulations! FontStruct Staff have deemed your FontStruction worthy of special mention. 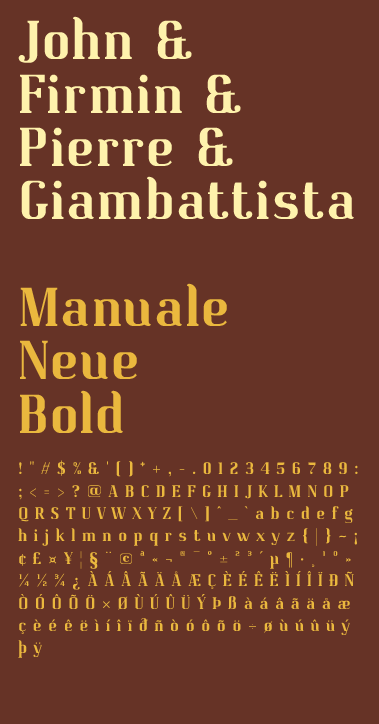 “Manuale Neue Bold” is now a Top Pick. Awesome discussion! Thanks for the Typophile link, it's good to have places to go where you can find suggestions for improvement. @meek thanks for the TP! This is very good. Felicitations for the TP ! Yes, that form of Eng is rare—aside from my own font Tehuti (pictured), I've only seen this design in a few other fonts. Brilliant use of nudging! I love the tail on the Q, the ogonek, and the extended charset. IMHO, the diagonal strokes on the § could be somewhat thinner; the center appears a bit cramped to me. I'm not quite finished with the Latin Extended-B set, but I found out that the alternate Eng is also included in Unicode as a specific character. Also, I reconsidered the §. The new one is now included. I have a question. i just started designing fonts. But i cant fix thespace between te words (big gap)how can i fix this? frank, go to the space character. Then in the menu, go to "View > Letter Width". After selecting that there will be an extra guide that you can use to select the width of the space (between words). You'll probably want to skinny it up according to your needs, by moving it to the left. To do that, hover your mouse over the guide and you will be able to move it when you see the double arrow, as long as you don't have the guides locked (but you have to be in advanced mode to lock the guides). Nice, laynecom. Very nice and complete. Wow (looking for my dictionary to find a more expressive word) A lot of glyphs in a beautifully designed useful text font.